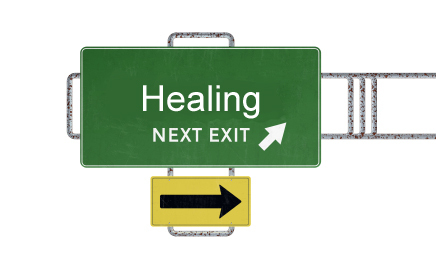 You are here: Home > How does a dead baby heal from a failed homebirth? How does a dead baby heal from a failed homebirth? Ever notice how often the word “healing” is bandied about in homebirth circles? Type the words “healing homebirth” into Google and you get more than 750,000 links almost all of which describe the “trauma” of a “failed” attempt at vaginal birth, or the need for a C-section or a failed previous homebirth. I have a question for all those women contemplating “healing” through homebirth. How does a dead baby “heal” from a failed homebirth? I gave birth on Saturday to my fourth baby. A boy. He is beautiful and healthy. It was an intended homebirth. I had seen a well respected midwife beginning at 8 weeks into the pregnancy. I got to 41 weeks 3 days when she wanted me to have a biophysical profile done. Well, my baby failed the test. They gave me a 2 for fluid levels and said my placenta was a grade 3. She came to my home to tell me we needed to induce… I was made to feel selfish, and that I would be saved by this almighty induction. In other words: I had a hospital birth and all I got was a healthy baby. I feel as if I cannot forgive them and I am struggling so badly with this. I am of course very thankful for my boy. He’s perfect. And I thank God he IS okay. But that doesn’t take away the hurt. I will always feel robbed. I know he would’ve been okay and that I should’ve walked out of that hospital. That’s what Sadie’s mother thought and Sadie ended up with a profound brain injury. That’s what Serentity’s mother thought and Serenity ended up dead. That’s what Joshua’s mother thought, and he died, too. This mother had a “successful” VBAC and her daughter is permanently brain injured. Or the dozens of other babies I have reported on over the years including two babies currently struggling to survive severe brain injuries that occurred at two separate homebirths in the past 2 weeks? Evidently a mother “heals” from a non-vaginal birth by risking the life of her next baby. But how does a baby “heal” from a failed homebirth? How does Sadie or Charlie heal from the loss of brain function that will leave them profoundly impaired for the rest of their lives. How do Vera or Joshua or any other the other babies who died “heal” from being dead?